On the 14th (Sun), take in nature's colorful creations at Roma Street Parkland and then get your game on at Zoccer Sports - Bubble Soccer. Here are some ideas for day two: identify plant and animal life at Lone Pine Koala Sanctuary, get great views at Mount Coot-tha Lookout, and then find something for the whole family at Wheel of Brisbane. To see where to stay, maps, other places to visit, and tourist information, read our Brisbane online day trip planner . Auckland, New Zealand to Brisbane is an approximately 7-hour flight. You can also do a combination of flight and train; or do a combination of flight, bus, and train. Traveling from Auckland to Brisbane, you'll gain 2 hours due to the time zone difference. When traveling from Auckland in April, plan for somewhat warmer days in Brisbane, with highs around 30°C, while nights are little chillier with lows around 19°C. Finish your sightseeing early on the 15th (Mon) to allow enough time to travel to Sydney. 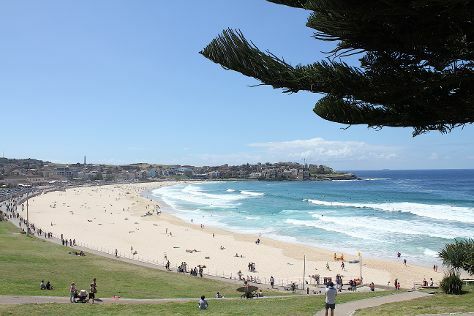 Kids will enjoy Bondi Beach and Manly Beach. And it doesn't end there: admire the natural beauty at Royal Botanic Garden Sydney, take a stroll through The Rocks, meet the residents at Sea Life Sydney Aquarium, and stroll through The Opera House to the Botanic Gardens Walk. You can fly from Brisbane to Sydney in 4 hours. Alternatively, you can do a combination of bus and flight; or drive. Traveling from Brisbane in April, expect nights in Sydney to be about the same, around 17°C, while days are slightly colder, around 26°C. Finish up your sightseeing early on the 19th (Fri) so you can travel to Melbourne. You'll visit kid-friendly attractions like Melbourne Zoo and Old Melbourne Gaol. 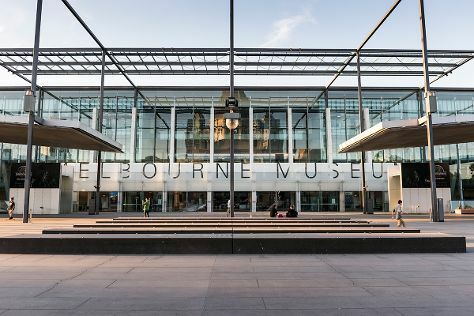 There's much more to do: admire the natural beauty at Royal Botanic Gardens, let your taste buds guide you at a local gastronomic tour, examine the collection at Melbourne Museum, and admire the masterpieces at National Gallery of Victoria. For traveler tips, maps, photos, and tourist information, go to the Melbourne online travel planner . You can fly from Sydney to Melbourne in 3.5 hours. Other options are to do a combination of flight and shuttle; or drive. Prepare for slightly colder weather when traveling from Sydney in April: high temperatures in Melbourne hover around 23°C and lows are around 11°C. Wrap up your sightseeing by early afternoon on the 23rd (Tue) to allow time for travel back home.